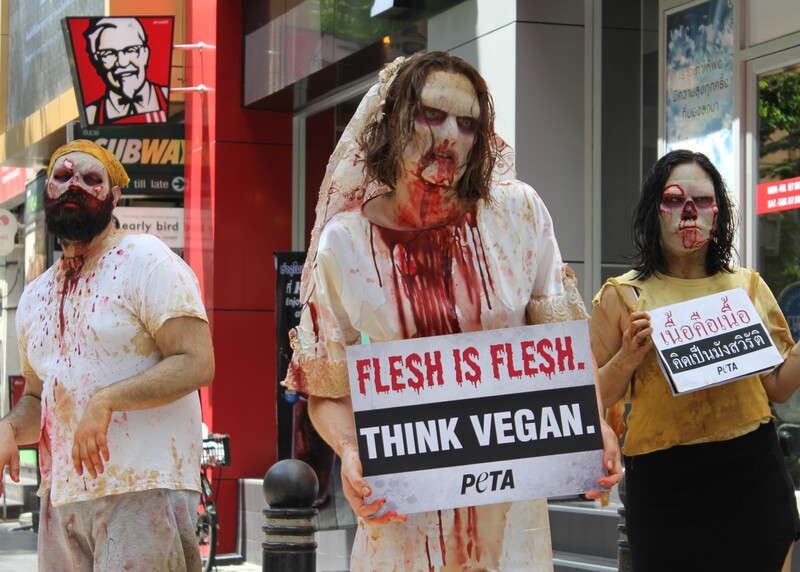 Flesh is flesh – think vegan. 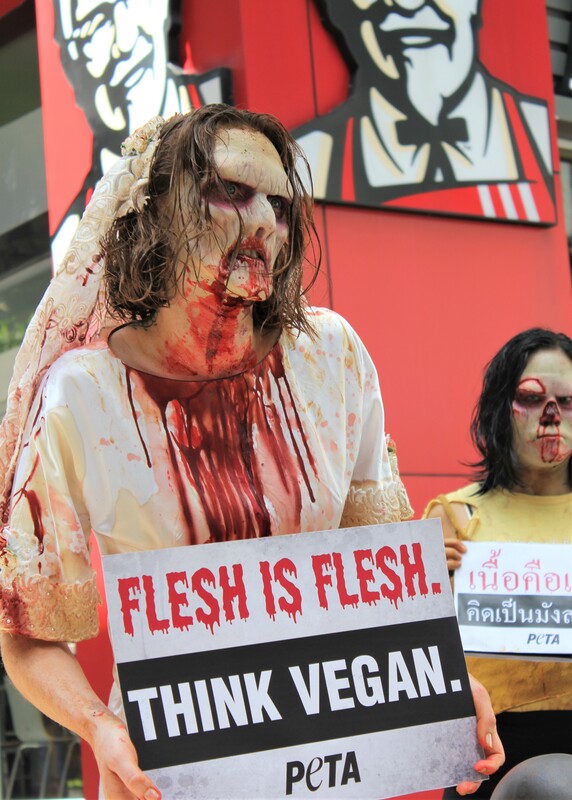 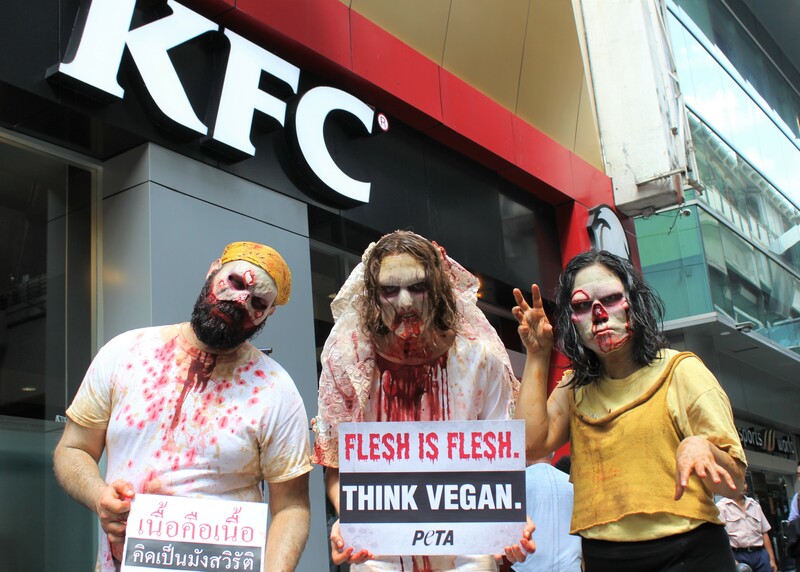 Zombies descended on the streets of Bangkok today, outside a KFC, during the Bangkok Vegetarian Festival to show that, like humans, all other animals are made of flesh, blood, and bones. 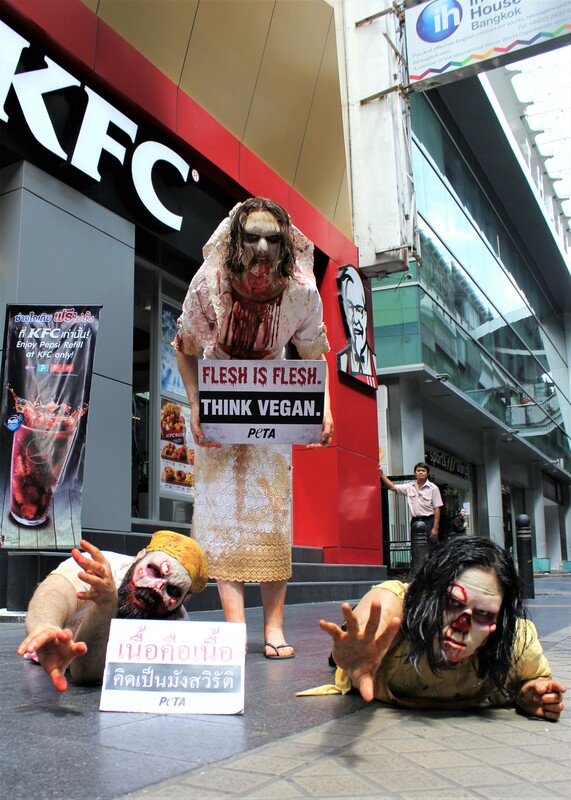 They reminded passersby that serving up someone’s dismembered body parts isn’t appetizing—it’s ghoulish.